$1,199.95 Seen a lower price? $1,299.98 Seen a lower price? 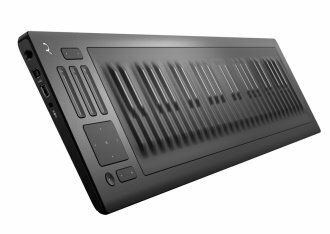 The acclaimed Seaboard RISE is now available as a 49-keywave controller with a four-octave playing surface. 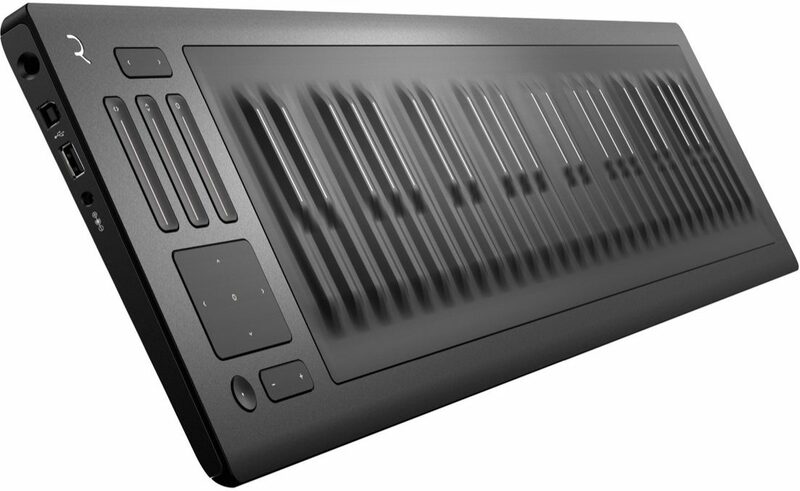 The Seaboard RISE 49 extends the possibilities of the breakthrough music device of the year. Using MIDI over Bluetooth, the RISE 49 works wirelessly, helping you take your controller wherever you wish to make music. That is now even easier with NOISE, the iPhone app that works as a mobile sound engine for the Seaboard RISE. The playing surface of the RISE 49 is twice the size of the RISE 25. The four octaves of the playing surface can be extended through the octave shift button. The RISE 49 is an ideal controller for either stage or studio. It combines the playability of a performance instrument with the portability and versatility of a MIDI controller. Equator, ROLI's software synthesizer and sound engine, is bundled with every RISE 49, giving you granular control of sound in multiple dimensions. The RISE 49 is also compatible with a wide range of software across OS X and Windows platforms. Bitwig 8-Track is included with every RISE 49 so you can record and edit your music right out of the box. The custom-made Soft Case, included with every RISE 49, helps you carry it between home, studio, cafe, and gig. NOISE takes the mobility of the RISE 49 to a whole new level. - System Requirements: OS X 10.8+ / Windows 7+ / iOS, Intel Dual Core i5 2.5GHz or faster recommended, 4 GB RAM minimum / 8 GB RAM recommended, 2 GB available disk space for Equator installation, USB 2.0+ port for USB compatibility.